One of my former broadcast journalism students called me a couple of weeks ago to say he was moving from a small station in Wisconsin to Denver’s KUSA to work as a video journalist. Dan McKinney has not been in the business a year, so I wondered how he got noticed by a top 20 TV market. He says the website Storytellers helped. What started as a group of journalism pros on Facebook, has become a multi-platform resource that Dan relies on not only to post his own work, but to get support. As a multimedia journalist, Dan uses Storytellers to get inspiration for stories and advice on equipment purchases. On the web, Storytellers uses the url Tvnewsstorytellers.com. It just launched its own YouTube channel, and its Facebook group has more than 5,000 members. The website bills itself as a place to find tips, stories and resources. 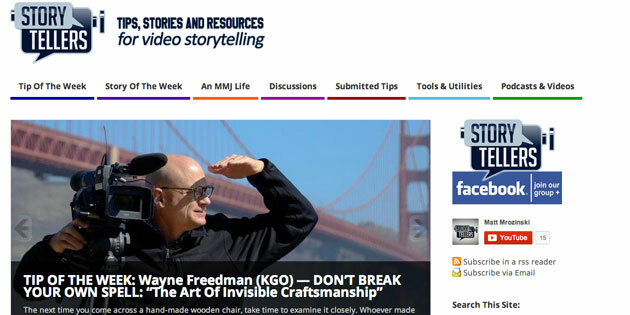 I logged on today and read KGO reporter Wayne Freedman’s Tip of the Week: “The Art of Invisible Craftsmenship.” Freedman writes, “We over-shoot, over-write, over-voice, over-cut and over-involve ourselves, often at the expense of our material and audience. It’s the equivalent of making a chair to look at rather than one in which to sit.” Freedman proceeds to offer tips on use of natural sound and the interplay of voice tracks and SOTs. Storytellers is a nice classroom resource as it offers examples of nationally-recognized video storytelling. Click on the Great Stories tab to see Peabody and RTNDA award-winning pieces, among others. The site also posts jobs and educational events. While it’s geared toward the professional MMJ, the site is useful for anyone with a passion for video storytelling. Wow. Thanks for this. I just found a dozen things I could use with my students. 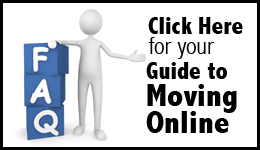 Excellent resource. I wonder if you have any thoughts about how you might leverage this resource with students – either individually or as a classroom activity – obviously there are some great stories here that you can show and discuss with a group. But, I also think directing individual students to the site would be a useful activity – but it needs some structure. I also like that several of the pieces I read are professionals reflecting on and discussing their techniques and struggles with the production process. This is something our students need to do. Produce work and then reflect and discuss their own process – good and bad. Nice to see the pros doing it too. Glad you find the site useful. In my TV classes, I typically have students watch packages and deconstruct. Sometimes I actually have them count the number of edits so they can see how a story should “move.” They might transcribe soundbites so they can see how they add color instead of merely information. Have them note the use of natural sound and count how many sentences — or even words — are in each voice track. This type of deconstruction should show them how a package is written to tell a story quickly but meaningfully. Also, subscribe to the Storytellers FB page. Members share their packages and ask for feedback. You can see what advice the “pros” are offering each other.